Go off-roading on a 4WD adventure and prepare for a wild ride in the backcountry. This guided tour allows daredevil travelers to ride a single or double ATV around a ranch in Macao, which serves as the jumping-off point. You'll snake through uneven trails bordered by endless farmland and distant mountains. 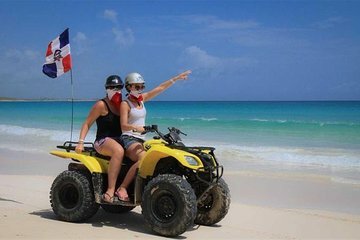 Transport is provided from Punta Cana hotels so all you have to do is focus on the scenery.